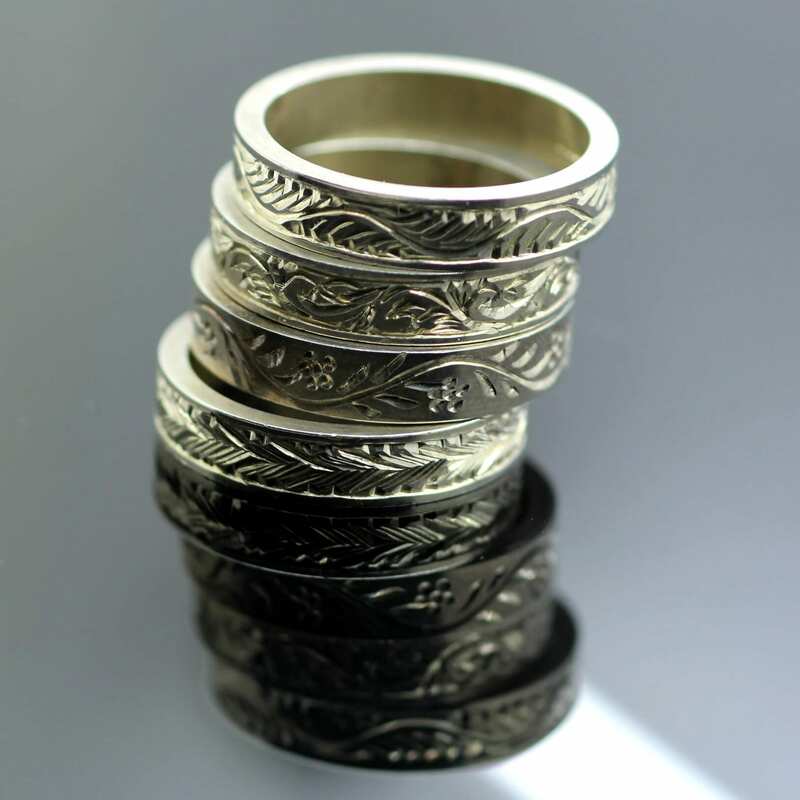 This solid Sterling Silver Flat statement ring has been expertly hand crafted, finished with a beautiful hand engraved scrolled pattern design. 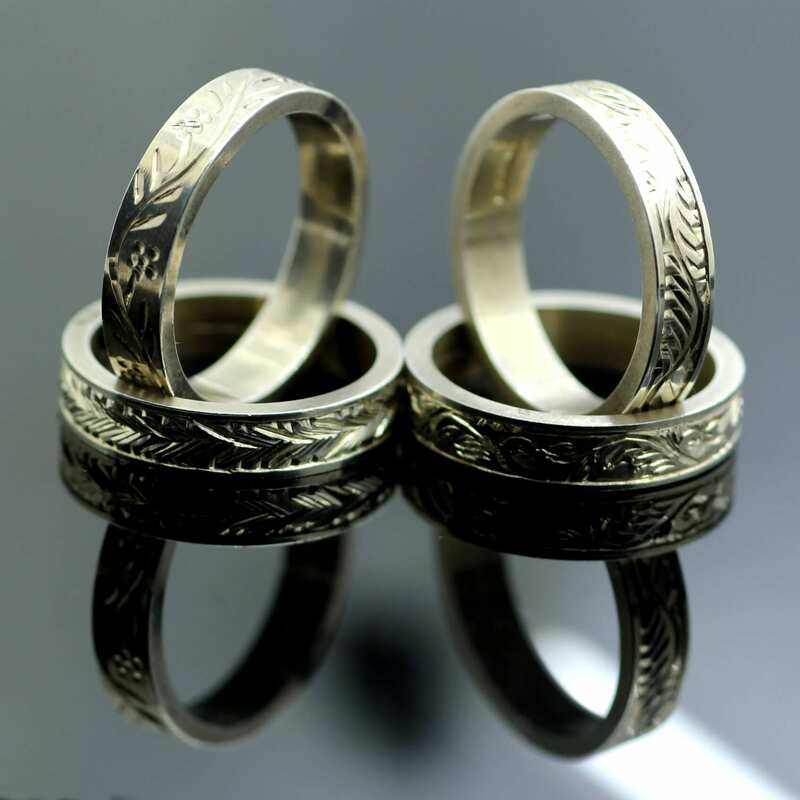 The versatile design is perfectly suited for men or women and can be custom made in a range of ring sizes and band widths to create the perfectly proportioned ring to suit your style and taste. 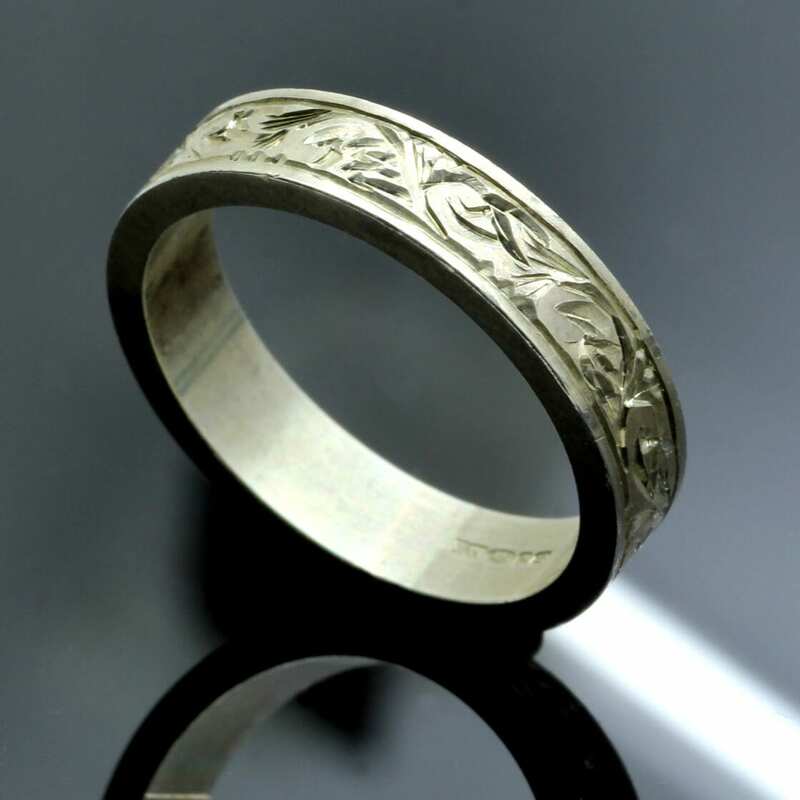 A personal hand engraved message can also be added to the inside of the band to create a truly memorable design for an additional fee. Please contact us for details and pricing.